Good morning! 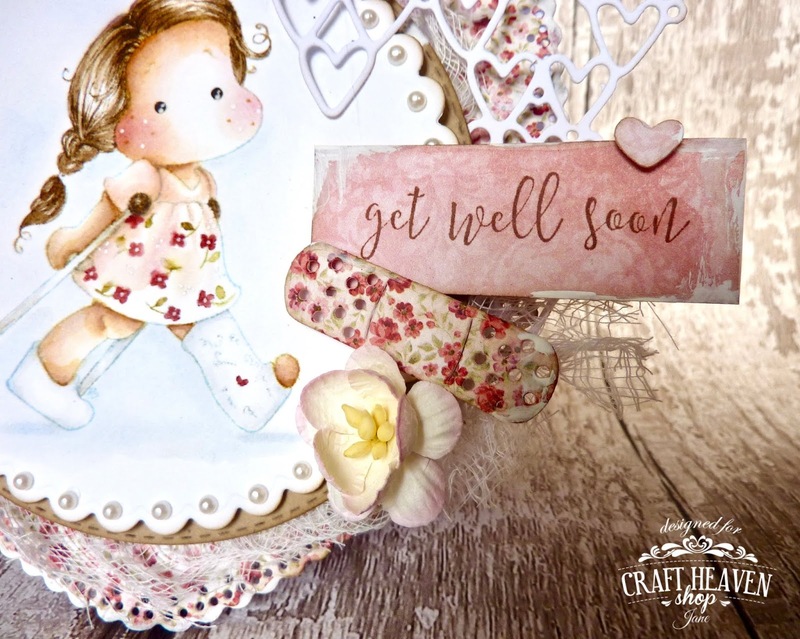 I am back with another card using a Magnolia stamp from the Get Well Collection. The papers are from Maja Design's gorgeous Summertime paper pad. I painted Tilda with Broken Leg using Distress Inks as always and added some details to her dress, cheeks and eyes with a white gel pen. I have placed tiny pearls to the scallop edge around the image. The sentiment comes with this stamp. The font is so beautiful on this one! The gorgeous blossoms are from Craft Heaven and the sticking plasters were cut with the Heart Band Aid Doohickey die. I have cut more sticking plasters for the other side of the image. The rose is from Craft Heaven too. The tiny hearts were cut with the Heart Band Aid Doohickey too and the gorgeous heart backgrounds were cut with the Heart Background Doohickey die. 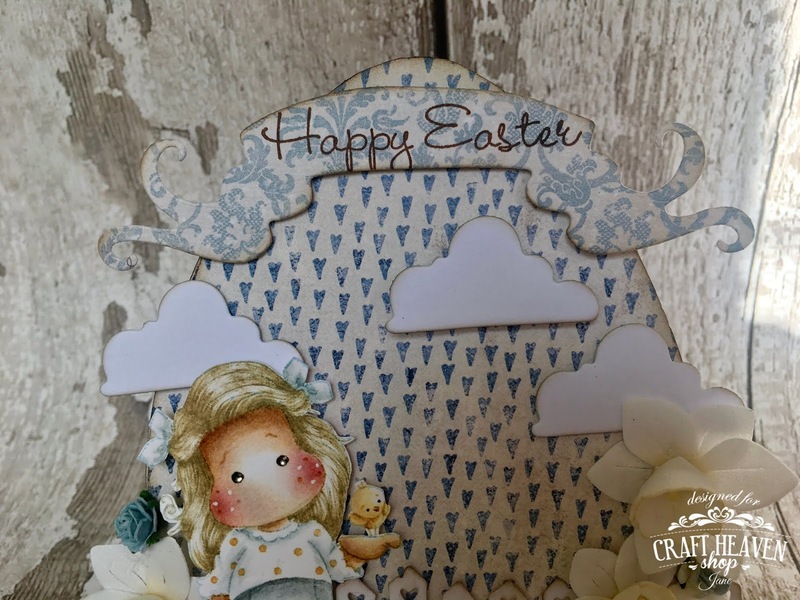 I have an Easter card to share with you today using the gorgeous Tilda With Little Chickens from last year's Sunbeam Collection. 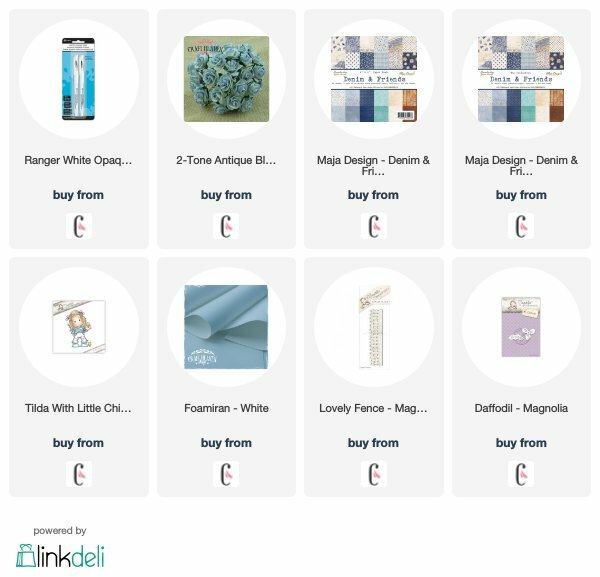 I've teamed her with one of my favourite papers from Maja Design's Denim Collection. I have painted Tilda with Distress Inks using the no lines technique and added white dots to her cheeks and eyes using a white gel pen. I have used the Daffodil Doohickey and Foamiran to make the Daffodils. Before assembling I inked the centres of the flowers with Scattered Straw Distress Ink. I've also added some blue roses to add a pop of colour. The fence was cut with the Lovely Fence Doohickey and the lace is from Craft Heaven. 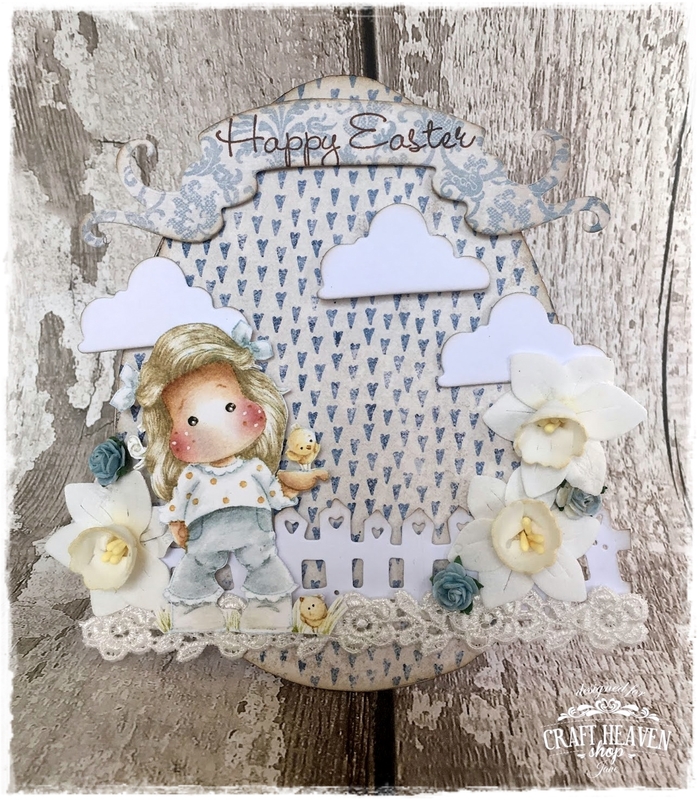 I've used the banner Doohickey from Volume 9 and the Happy Easter sentiment is from Magnolia too. The cute clouds were cut with a die from Doohickey Volume 4. I hope you like it and I've inspired you to make your own Easter cards. 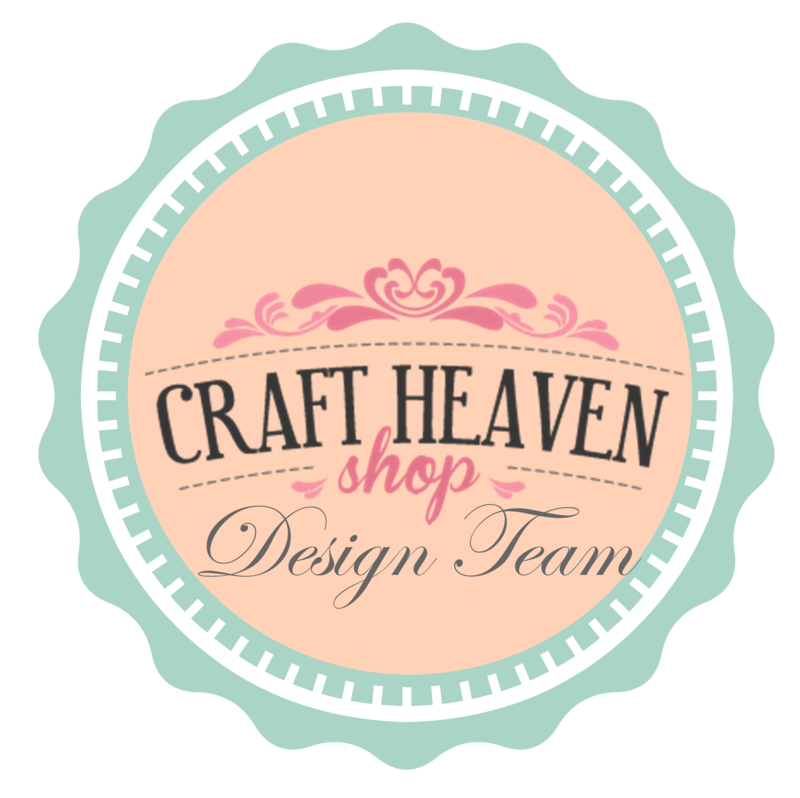 Pop over to the Craft Heaven blog in a few days to see some more inspiration from the Design Team. Thanks for looking! I'm back with a new card to share with you today!!!!! It's a card made for a baby boy's Christening day. 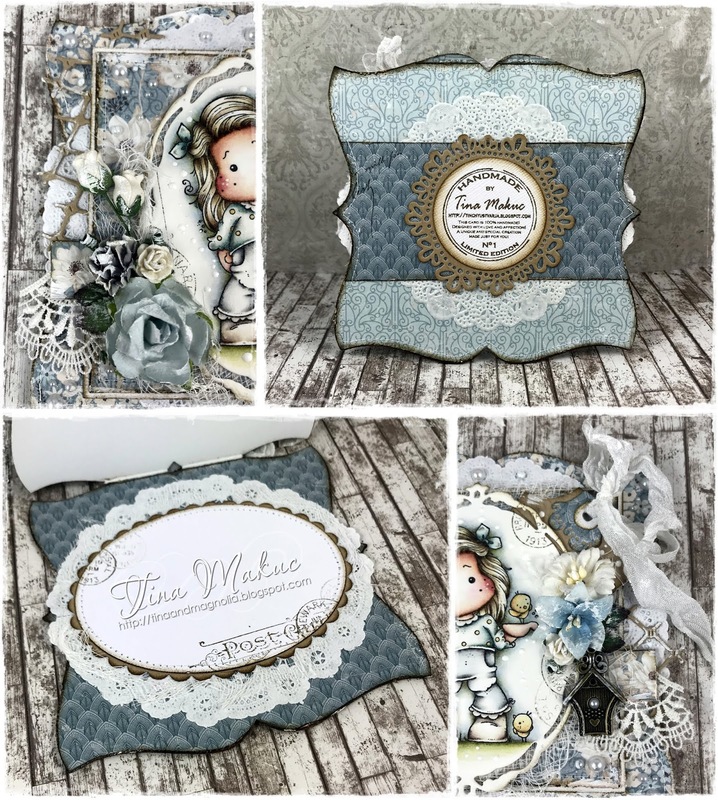 I used blue tones of papers from Maja Design's Vintage Baby 6x6 collection. 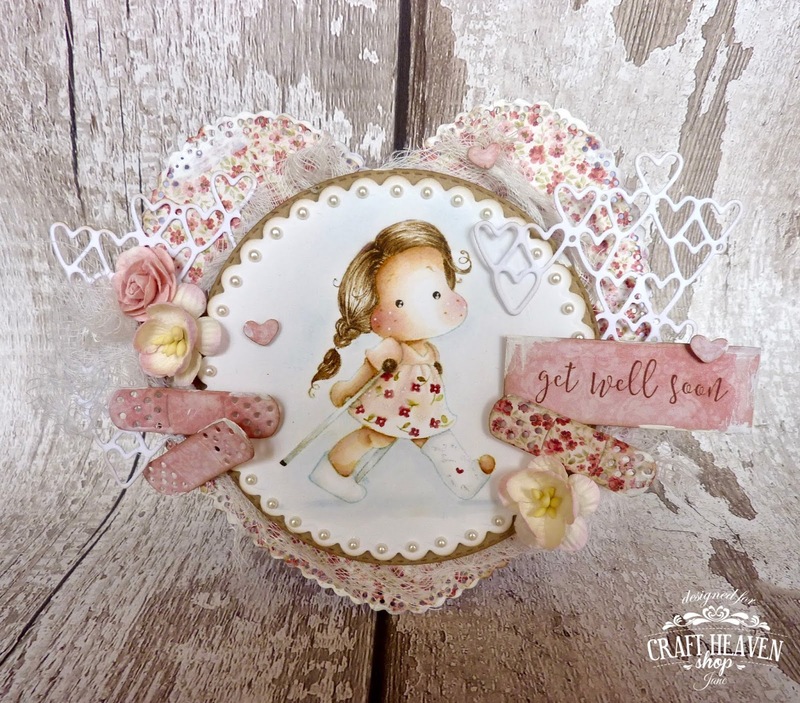 Flowers added are made using Magnolia Peonies dies and Foamiran - ecru. The image I colored is called Sleeping Baby Tilda and is still available in the shop. I love it... it's one of my favourite Magnolia stamps. 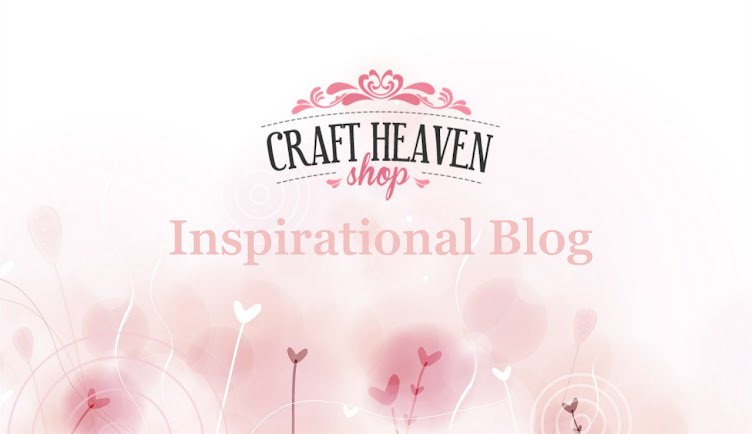 I'll be back soon with a new inspirational post for you! Tina here once again with a card that I really hope you will enjoy.. I'm seriously in love with bunnies, so the only right thing to do was to use one on here..
Let's start with the image.. 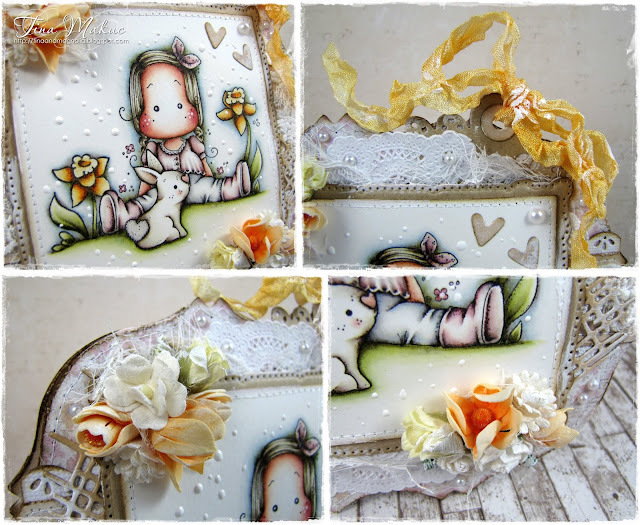 I did a lot of masking and created this little scene with Sitting Spring Tilda from the It's Springtime Collection 2017 and some Magnolia accessories stamps like the Daffodil from the Curious Wiola kit..
Once again I used my absolute favourite colouring medium.. Distress Inks..
After I was done with the colouring, I used a Wink of Stella glitter brush to add sparkle to the flowers, bow, rabbit's tail and nose.. 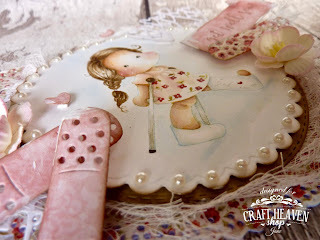 The dots are white Frantage embossing powder and of course the image is sealed with a bit of Distress Micro Glaze.. I cut the image into a square and placed the biggest Spellbinders Marvelous Squares die behind that.. I used my favourite kraft paper for that.. 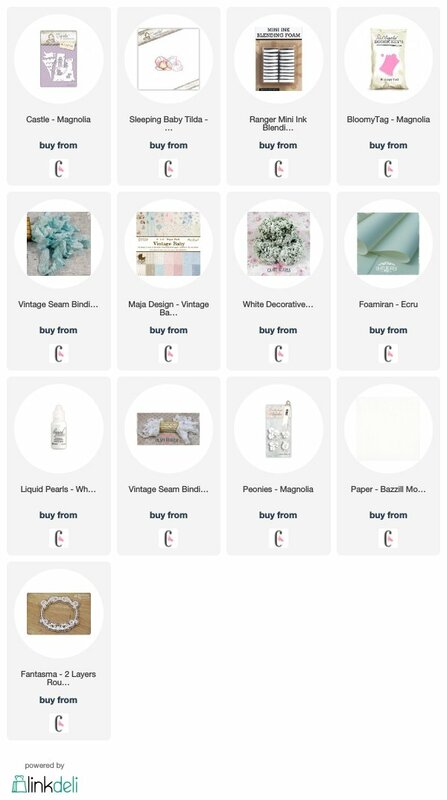 I'm talking about the Bazzil Classic Kraft in 12x12''..
All the designer papers are from Maja Design.. I've added lots of doiles everywhere.. Again..
And I've used plenty of Magnolia Doohickeys too.. 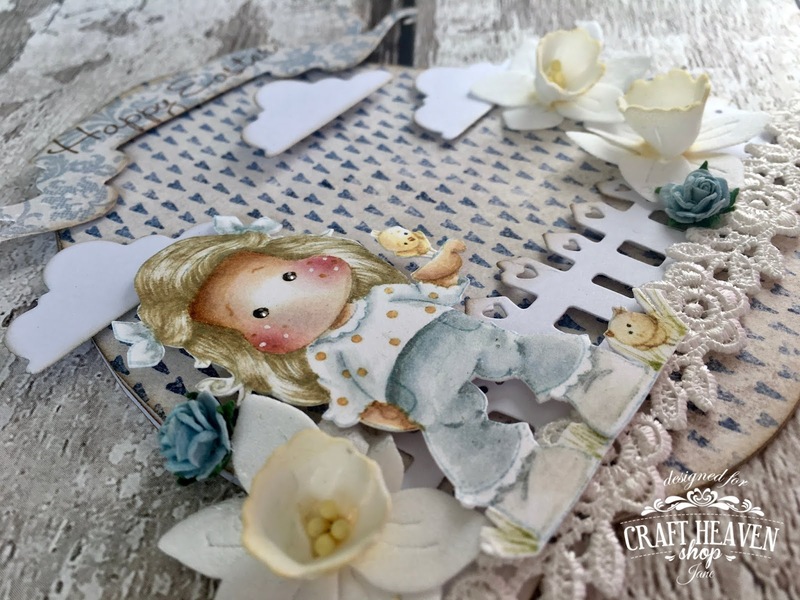 The Bloomy Tag, the Heart Background (for the little hearts on the front and inside), the Jute is peeking on the sides and of course an oldie but goodie.. The Old Swedish Lace.. When I was picking the flowers it struck me that I didn't have any orange ones.. So I decided to make them on my own.. I took some Peach Foamiram from the drawer, the Dried Marigold and Spiced Marmalade Distress Inks and two more Magnolia Dies.. The Daffodil and the Little Daffodil.. I have to tell you.. I really really love how they turned out.. The other flowers are from WOC.. 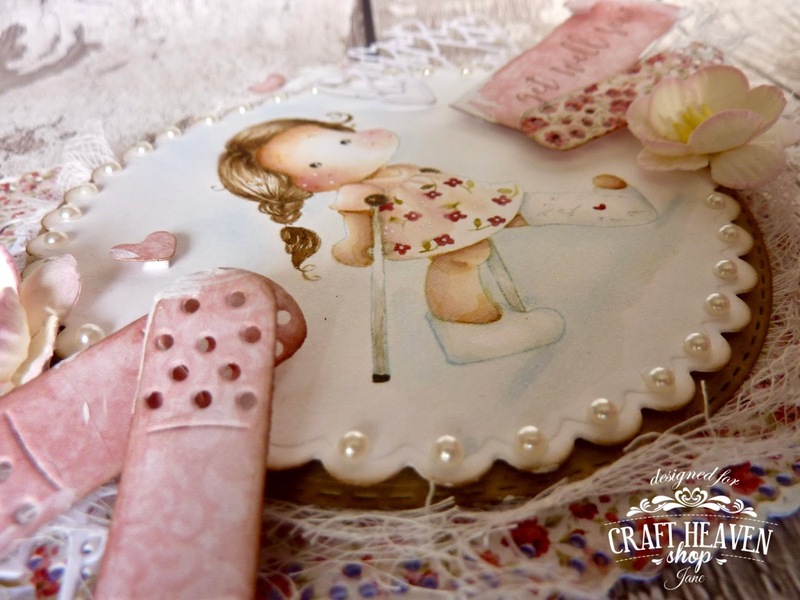 The lace and Vintage Seam Binding are both from Craft Heaven Shop as well.. The card's base is made with a GoKreate die from the Large Frame Frilly #5 set and I used the Spellbinders Standard Circles Large and Petite Scalloped Circles Large on the inside and back.. The paper edges are distressed and sewn and three more things I always use are half-pearls, cheesecloth and Gesso.. Simply cannot live without those.. LOL! I just want to thank you from the heart for stopping by! Have Dinner with Me Tilda..
Tina here with another project for you.. This time it's a little notebook.. 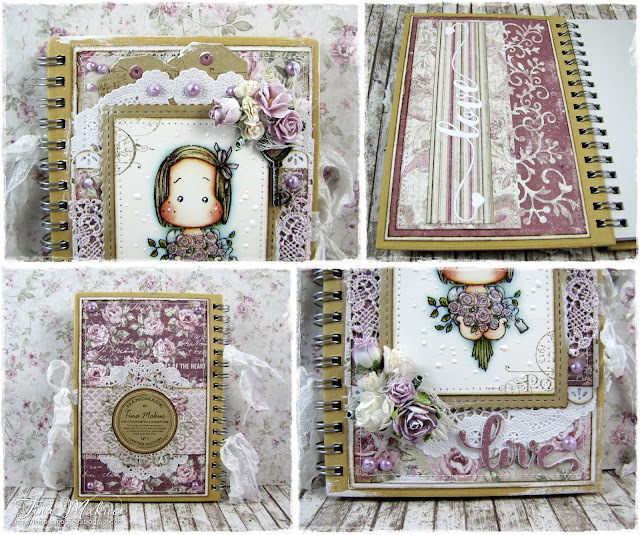 The notebook is a pre-made one from my stash.. In the last post I told you that I want to use as much paper scraps as I can.. So I reached for some Maja Design papers that I've had for a long time now.. These still are one of my all time favourites.. I used three collections: Vintage Autumn Basics, Vintage Summer Basics and Vintage Frost Basics.. 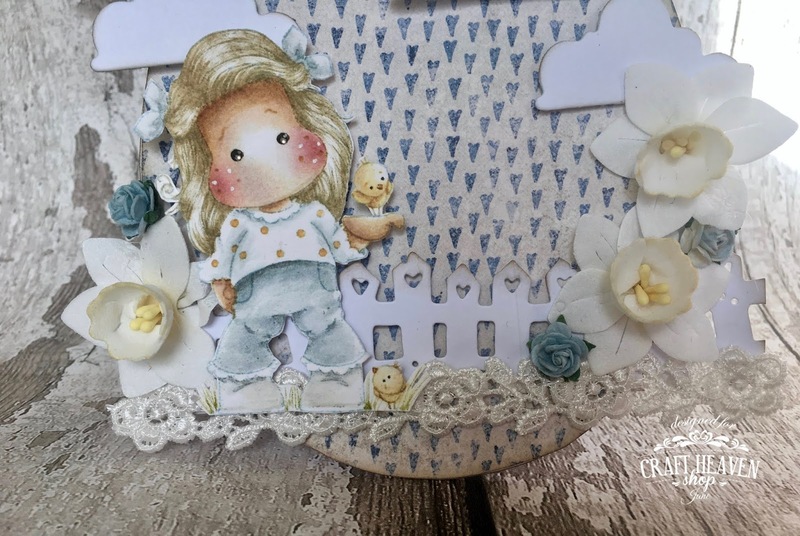 I felt like I needed to add some more touches of kraft to match the notebook so I cut out a cute scalloped frame from Bazzil Classic Kraft and put it behind the image.. 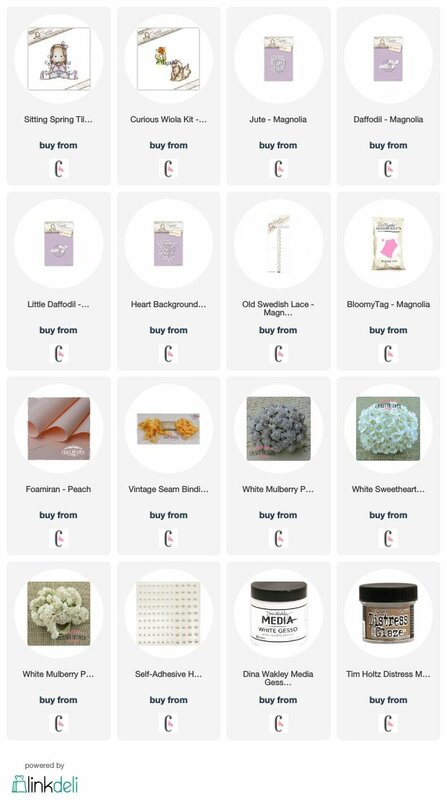 I wasn't convinced yet so I also added two small tags from Magnolia.. This set of dies is called Letter Tags and I picked the smaller one.. 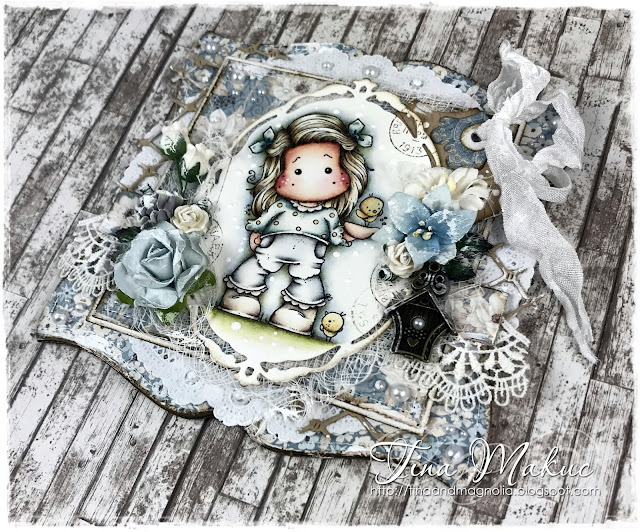 I always use the Bazzil Mono Canvas in white for the extra layering..
Now let's move onto the image..
Have Dinner with Me Tilda from the Recipe Card Collection 2017..
She's coloured with Distress Inks and I will list all the colours here in case you wanna have a look..
After I was done with all the colouring, I used some Frantage around her and some Stardust Stickles on the bouquet.. The image is sealed with the Distress Micro Glaze.. Here's a photo from the side so you can actually see all the sparkly bits.. 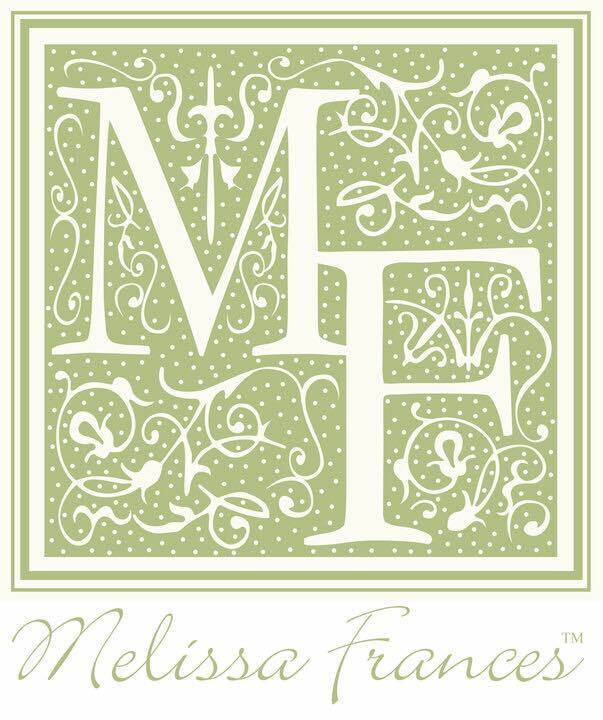 I use the Magnolia Postcard and New York stamp sets on almost every projects so I reached for those again this time .. The key charm you see hanging over there is from the store as well..
You might have noticed that I used the Old Swedish Lace die too.. It's almost completely covered by all the embellishments and other layers but it's there..
Doiles on the front, doilies on the back..
Can't live without them.. LOL! And many different WOC flowers as you can see.. I tucked some cheesecloth under those and added touches of Gesso all over the place.. The insides of the covers are decorated as well.. I forgot to take a picture of the back one but I can tell you that I made a tiny pocket with the Wedding Lace Doohickey on there..
Another Magnolia die that I used is the Mini Doily.. I know I use it on most of my projects but it's sooo pretty.. I never get tired of it..
One more thing I tend to use a whole lot are self-adhesive half-pearls.. They are lilac this time.. I used some white Vintage Seam Binding for the closure and some more combined with delicate lace on the side.. This completes today's project people.. I really hope you enjoyed your stay! Thank you once again for popping by! 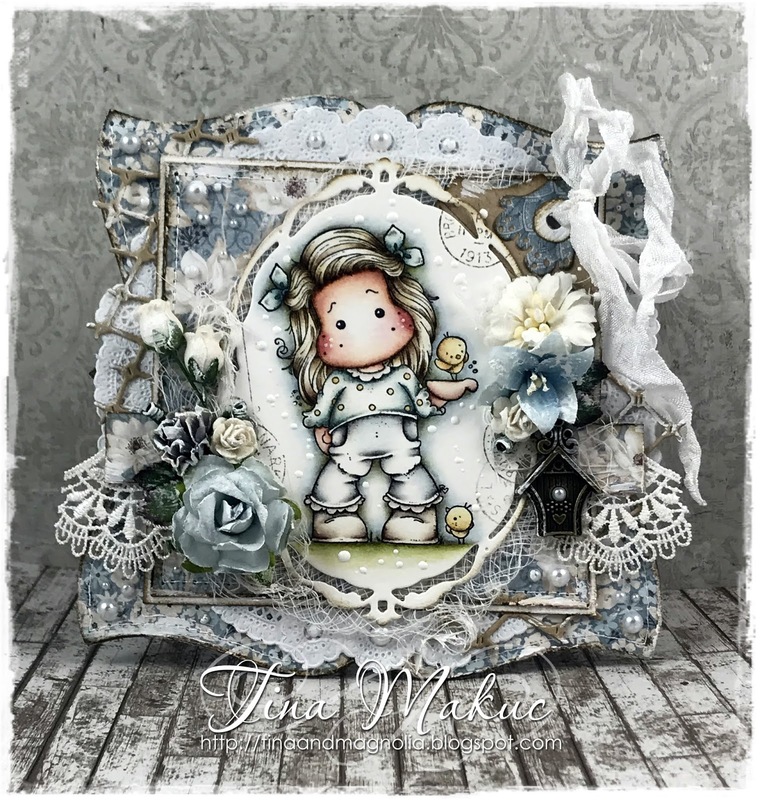 I'll be back soon with a new creation..
BathTub Tilda and a VIDEO TUTORIAL..
Tina here with a new card for you..
You might have seen a sneak peek on my Facebook page already.. This is what I've been working on lately..
For starters I chose the dies for the base of the card.. 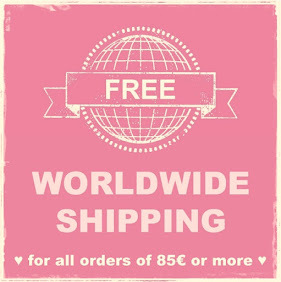 I picked one of the GoKreate Large Frames Frilly #6.. The other one behind the image is from the same company but from the #10 set.. The image was cut out with one of the Spellbinders Standard Circles Large and I placed a slightly bigger cut-out from Bazzil Classic Kraft behind that..
That one is from the Fancy Edged Circles set.. I'm on a hard mission people.. I wanna use as much paper scraps as I can and make room for new supplies, so I found some very, very, very old Reprint papers in my stash and combined those with the gorgeous Maja Design papers from the Vintage Spring Basics, Vintage Frost Basics and Vintage Baby 6x6 Paper Pads.. I'm sure you know this cutie already.. Her name is BathTub Tilda from the Let's Go Collection 2019.. I used her once before to make a video tutorial on how to transfer a coloured image onto a candle.. If you haven't seen it yet, I would be thrilled if you watched it now.. 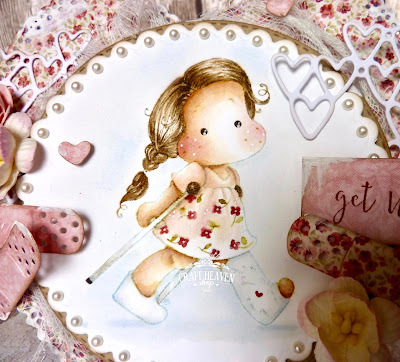 I think this is a super fun technique..
As usually I played with my Distress Inks to colour her up..
After I was done with the colouring, I used a Wink of Stella glitter brush to add sparkle to the bubbles and I covered them all with Glossy Accents.. It's super sparkly and the shiny finish is just a cherry on top.. The white dots around her are made with Frantage and I always seal the image with a tiny bit of Distress Micro Glaze to preserve it as much as possible.. The doiles are everywhere.. Again.. Honestly I just cannot work without them.. The texture they give is such a nice touch, don't you think? 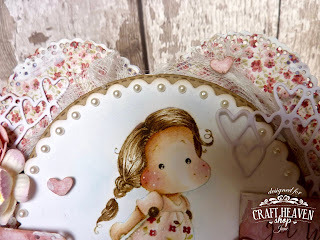 I've used the same Spellbinders circle dies on the inside and the postmarks are also the same ones I used around Tilda.. 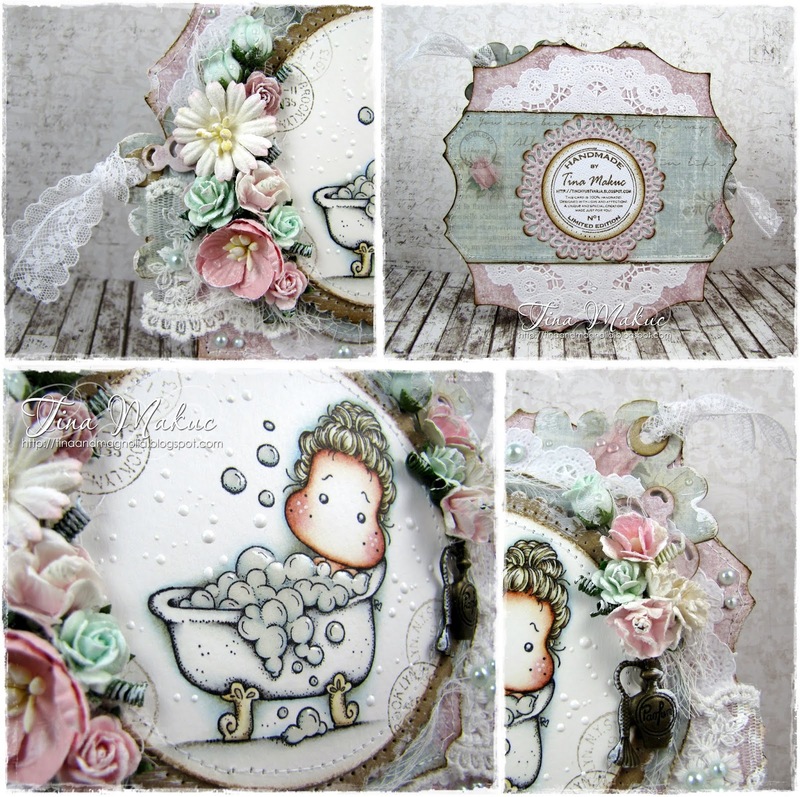 These are Magnolia stamps as well and this specific set is called New York.. There's a bit of soft lace tied on the tags and another super gorgeous lace from Craft Heaven Shop peeking out on the sides..
And the Perfume Bottle charm hanging on there? Don't you love it? The Scalloped Tag die is from Magnolia, and so is the Mini Doily that I used on the back of the card..
Another Doohickey you can spot on here is the VideofyMe Bubbles.. Simply perfect for this image.. The paper flowers are from WOC.. They are covered in Gesso and I also added some light touches of Nuvo Crystal Drops on them to make them look like they have water droplets on..
My choice was Morning Dew.. This one dries clear so it was perfect for the job.. The half-pearls are from my stash..
Well.. I think I covered it all..
Hope you'll come back for more.. If you have questions don't hesitate to contact me.. I'm more than glad to help.. I'm finally able to share a new card with you.. I picked three of my all time fave Magnolia dies.. They are all so pretty.. I couldn't just stick with one.. 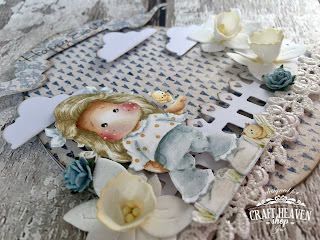 They are the Tilda Tag, the Mini Doily (you will find it on the back of the card) and the Chicken Wire.. 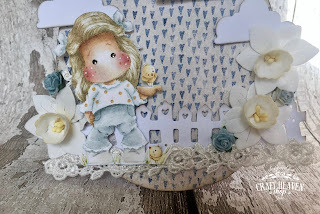 I used a gorgeous CreaLies die for the card's base.. 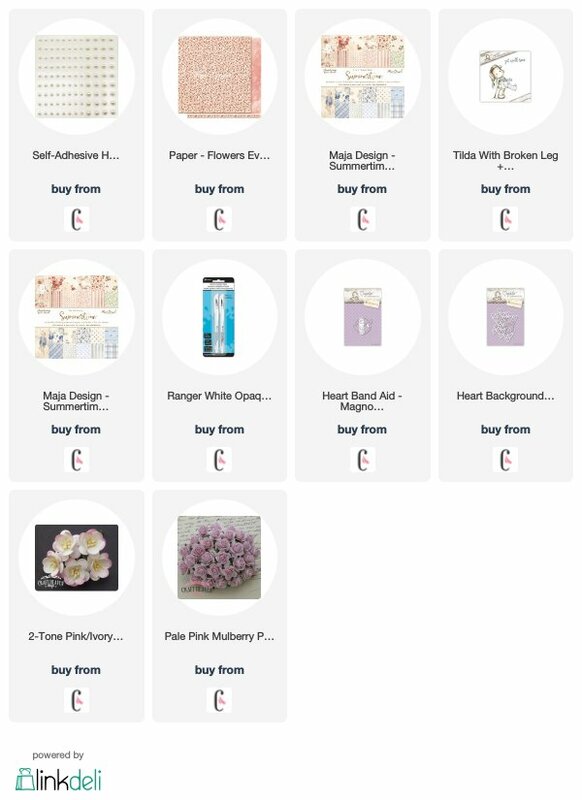 The papers are all Maja Design..
From the Celebration Collection to be exact.. 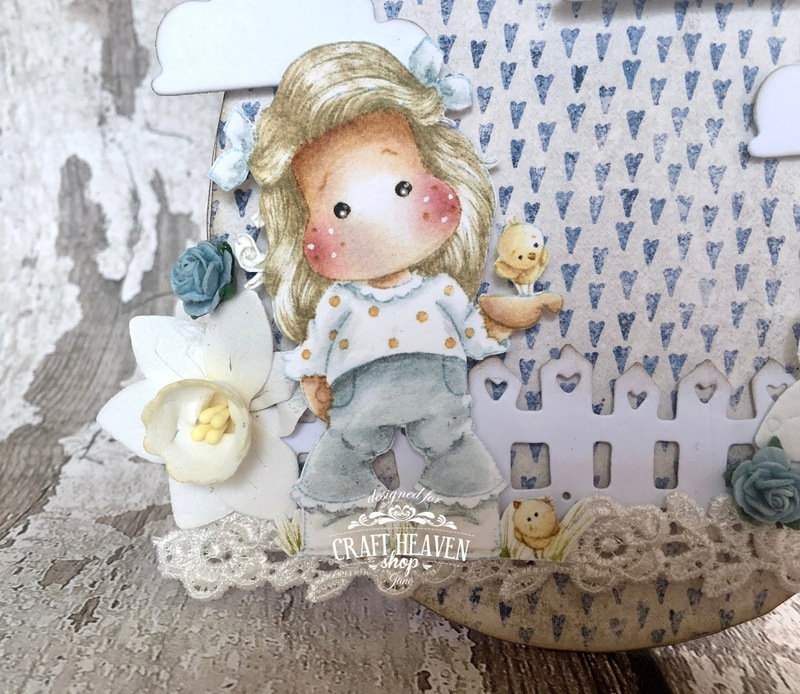 This sweetie pie is called Tilda with Little Chickens and she's a part of the SunBeam Collection 2018.. I coloured her with Distress Inks..
After I was done with the colouring, I used a Wink of Stella glitter brush to add sparkle to the chickens, bows, shirt and pants.. It doesn't show in the picture but it's all sparkly, I promise.. 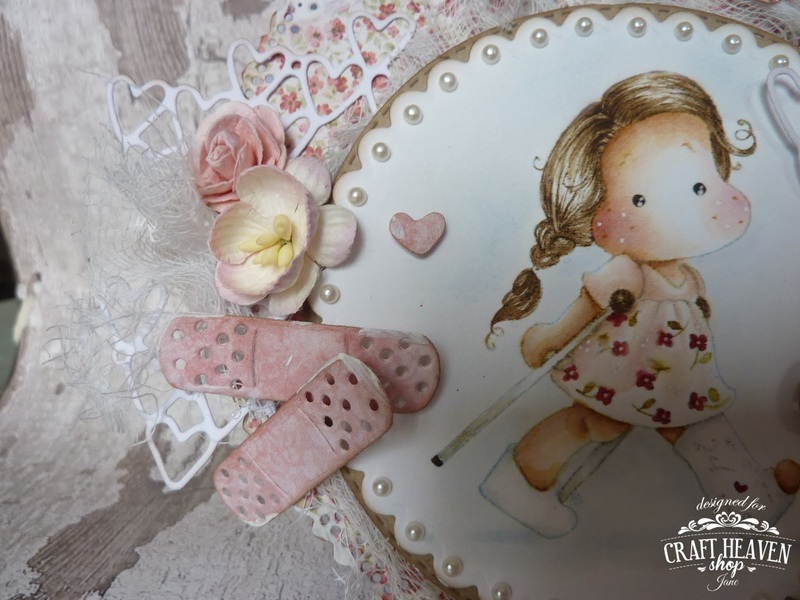 I made the white dots around her with the Frantage embossing powder and sealed everything with a tiny bit of Distress Micro Glaze.. 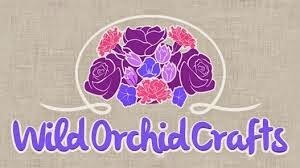 The image was cut out with one of the Spellbinders Opulent Ovals.. I've used a whole lot of doiles everywhere..
One on the front, one on the inside and even a smaller one on the back.. 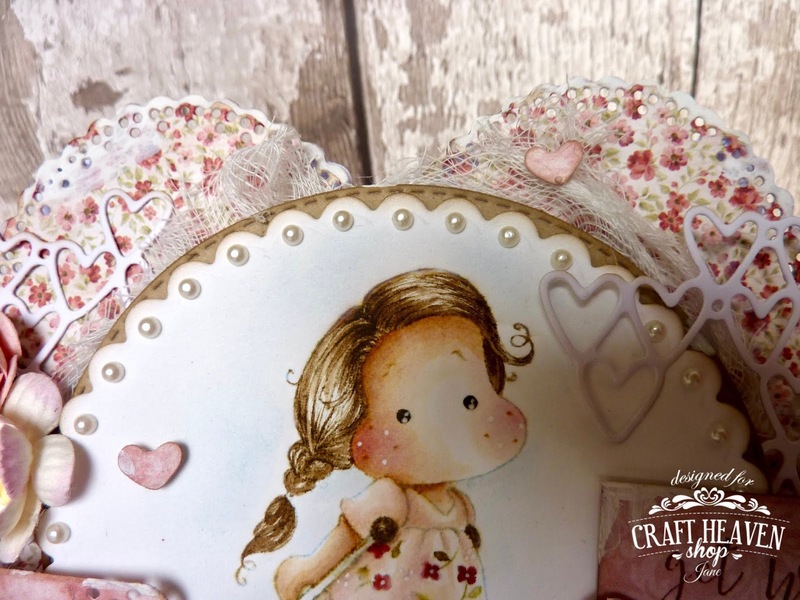 The ovals inside are made with the Spellbinders Petite Ovals Large and Petite Scalloped Ovals Large.. The postmarks are the same ones I used around Tilda.. These two stamp sets are called New York and Postcard.. 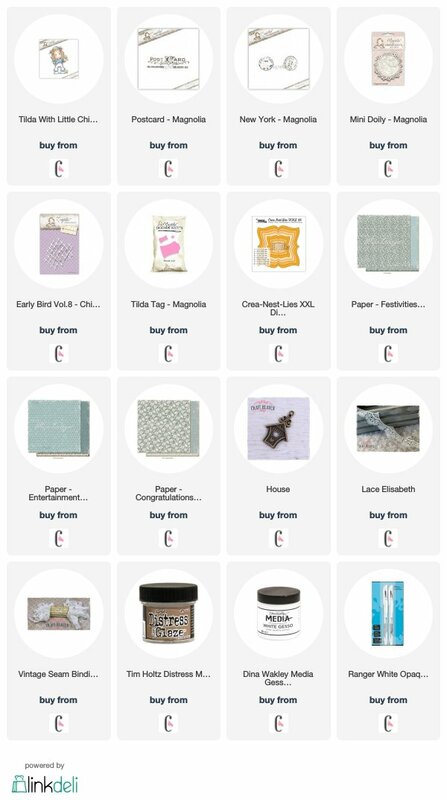 There's a bit of white Vintage Seam Binding tied on the tag and the super gorgeous lace you see peeking on the sides is the Lace Elisabeth..
My kraft paper of choice is the Bazzil Classic Kraft in 12x12''..
And what do you think about that super cute house charm? I love it! The paper flowers are from WOC and Magnolia.. They are covered in Gesso..
And I'm sure you noticed there are lots and lots of half-pearls scattered around..
That's all for today lovely people.. Thank you sooo much for popping by!